Administration Complex – 2 story, 18,400 SF structure with full height atrium, elevator, combination of private/executive offices with 9 ft. ceilings, open areas with glass and partition walls. The building is wired with Cat 3 and 5, cross hubbed redundancy built in between floors and grounded data circuits, motion detectors and beam security system, 3 phase electric. Conference/Research & Development/Training Center – The one-story 8,127 SF structure houses offices, 3 classrooms, a conference room, training area, student break room, warehouse storage and small research & development lab. Guest and Manager’s Quarters – The Campus includes residential quarters with potential for future expansion. Comprised of one 5-BR house with commercial kitchen and dining area, one 1-BR cottage, one 2-BR house, and one 4-BR house, the added value for student or employee housing is rare. Industrial Warehouse – A 15,000 SF warehouse/manufacturing building is located adjacent to the Administrative Complex and Conference/R&D/Training Center. Consisting of 11,640 SF on the first floor with a 3,420 SF mezzanine, the coated steel frame building includes 3-phase electric, offices, rest rooms, 2 loading docks and 5 overhead doors. Ceiling height at the apex is approximately 18′. Maintenance Workshop with Garage – A 1,582 SF building provides ample space for a metal, mechanical or woodworking shop and features a separate garage for 2 vehicles. 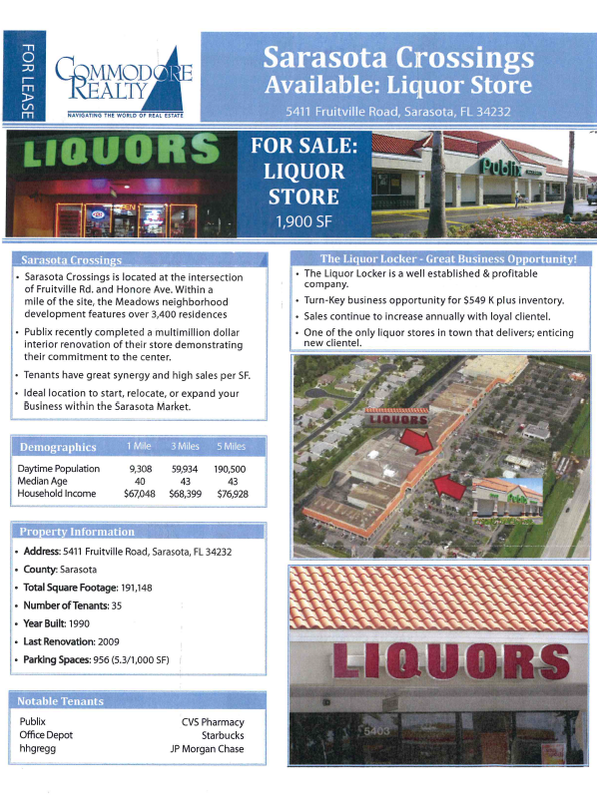 For more questions on the commercial property, please download the full prospectus (BioTech Way Commercial Investment Opportunity) or contact Jag Grewal or Cindy Jean (941-906-8688) at Ian Black Real Estate. To learn more about how to use commercial real estate to qualify for an investor visa, please see the following video of Chris Jaensch speaking on the issue or contact the attorneys at Jaensch Immigration Law Firm (941) 366-9841. 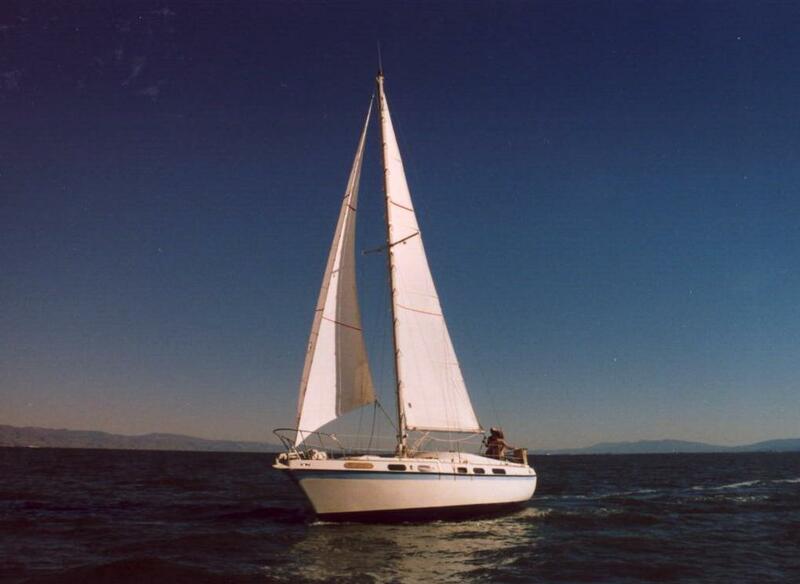 Here is an interesting business opportunity for Sarasota immigrants: a sailboat-building business for sale. The manufacturing business produces about 200 boats annually. Models range from 15-foot to 23-foot sailboats, including the Colgate 26, the model that the US Navy and Coast Guard use to train their personnel. 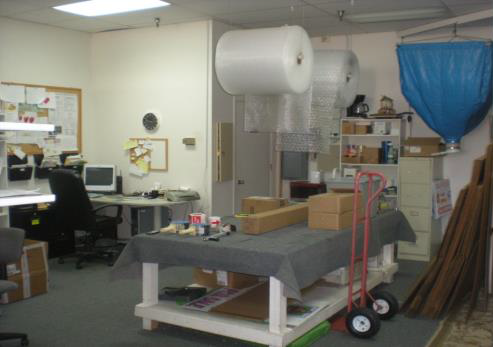 The business has built up a team of dedicated employees, some of which have more than 20 years of experience. They predict an increase in sales in coming years as consumers release pent-up demand. For more information contact Steven Alexander of Abbex, Inc.: (941) 365-3833. To see if the business qualifies for an investor visa please request more detailed financial documents from Mr. Alexander and contact Chris Jaensch: (941) 366-9841. For information on more ways to qualify for an investor visa, please see the video below of Chris Jaensch speaking about using commercial property to qualify for an E-2 or EB-4 investor visa. ImmigrationSarasota.com recently heard about a new business opportunity for immigrant investors. 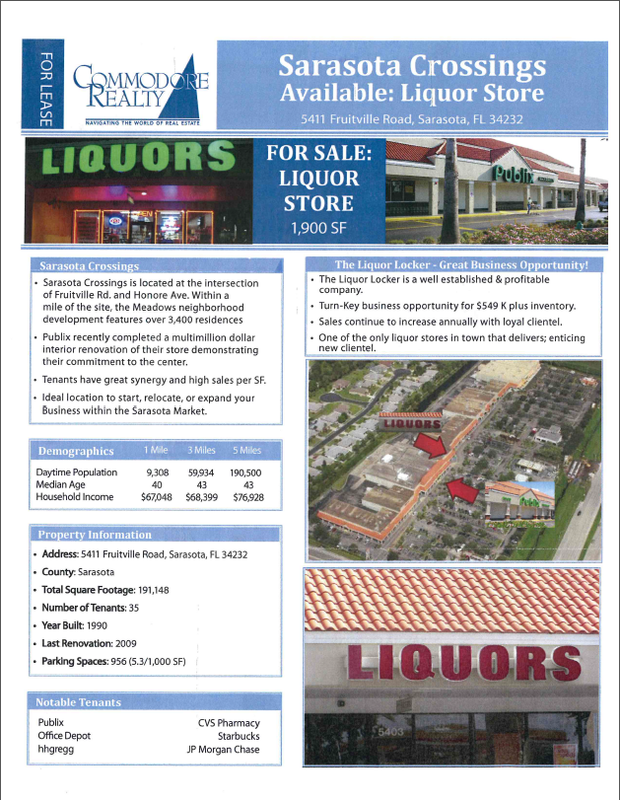 The business is a liquor store located in the Sarasota Crossings shopping center at the intersection of Fruitville Rd. and Honore Ave. The shopping center includes a Publix, an hhgregg, a CVS and a Starbucks. The upper-middle class Meadows neighborhood is less than a mile away. The liquor store is already established and profitable, sales have been increasing yearly, it would come with $549,000 worth of inventory and it is one of the few liquor stores in town that delivers. Immigrants who are interested in obtaining an E-2 investor visa may be able to do so by buying this business. 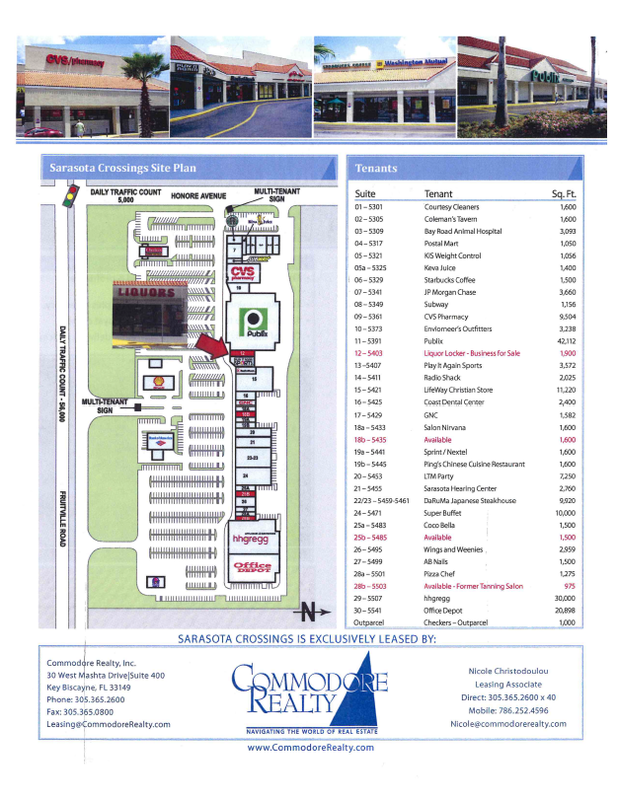 Please contact the business broker, Nicole Christodoulou, of Commodore Realty (305-365-2600) for more information. Contact Chris Jaensch of Jaensch Immigration Law Firm (941-366-9841) to see if the business could qualify for an E-2. 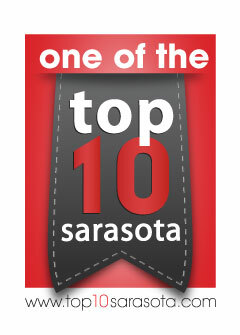 Reposted from Sarasota Herald Tribune. This article is related to our previous post about the Whincups and Galaxy Multi-Rides. Published: Monday, October 14, 2013 at 1:00 a.m.
Last Modified: Saturday, October 12, 2013 at 4:54 p.m. PORT CHARLOTTE – There are jobs and there are businesses, and then there’s what Robin and Mike Whincup do for a living. The father-and-son team owns and runs Galaxy America, which manufactures and sells mechanical bull rides and inflatable, multi-player games that cost from $8,000 to $20,000. To date, the company has sold about 5,000 worldwide to festivals, boardwalks, traveling fairs, small theme parks, party supply rental companies and other businesses. And more sales are in the offing, if the Whincups’ track record of innovation holds. The family got into the business in 1985, when Robin Whincup, then a carpet installer in England, got into the amusements trade by buying a “bounce house” and renting it out for children’s parties. Eventually, he invested in a new gizmo featured in the popular “Urban Cowboy” movie that starred John Travolta. The mechanical bull simulates a rodeo-style bucking bovine that tries to throw its rider. It turned out to be a profitable investment. Mechanical bull riding became a nationwide craze. But for all the success, the elder Whincup thought the concept needed refinement. That’s because the old fashioned mechanical bulls were heavy — so much so that they required six people and about two hours to install and break down. So Whincup set out to “re-invent” the mechanical bull to make it lighter, easier to assemble and safer. Today, Whincup’s bulls can be installed by just a pair of workers, and in a fraction of the time — 20 minutes. His re-invented bull involves securing a fiberglass body covered with an artificial hide atop a steel spin motor. A soft foam head with a polyurethane “skin” is then attached. Unlike conventional mechanical bulls, the machine resembles the beast. Whincup also designed his mechanical bull, which sells for about $16,000, so that it could be converted into mechanical rides with dozens of other custom-made themes. With a different fiberglass figure placed on top, the ride can become a mechanical shark, dog, jack o’ lantern, buffalo — whatever. The rocking contraption is centered on an inflated vinyl platform, so riders are not injured if they fall. The re-invention nearly a quarter-century ago led Whincup to open a factory in Harrogate, England. As his invention became more popular, Galaxy provided Whincup with an opportunity to stop laying carpet and devote himself full time to his business. In time, that led to an even bigger change. With the U.S. as his biggest market, Whincup decided to open a factory in America. “I found that Americans wanted to buy stuff in their own country with their own dollars,” Whincup said. When he looked for a location, he gravitated toward the Sarasota area — a place where his family had vacationed and enjoyed themselves. “I just wanted to live in the sunshine,” the elder Whincup said. In 2008, he found a facility to rent in Port Charlotte that met his needs. He began small, with a single employee. That didn’t last long, though. In the past five years, annual company revenues have grown from $600,000 to $3 million. These days, with eight employees in England, Whincup’s Port Charlotte enterprise is now the larger of the two factories. Galaxy America employs 16 and expects to expand. Whincup predicts that, by 2016, he will need 30 on staff. Displaying his wares at trade shows is the key to his success, Whincup said. Photographs alone do not sell a Galaxy product. “People have to see it, touch it,” he said. The mechanical bulls, the company’s most popular product, are bought by bars and restaurants as well as party-supply stores. Businesses that charge customers about $250 to $350 to rent the machines can earn their money back within months, Mike Whincup said. A mechanical bull on the boardwalk in Myrtle Beach is reportedly earning its owner about $113,000 a year, the younger Whincup said. 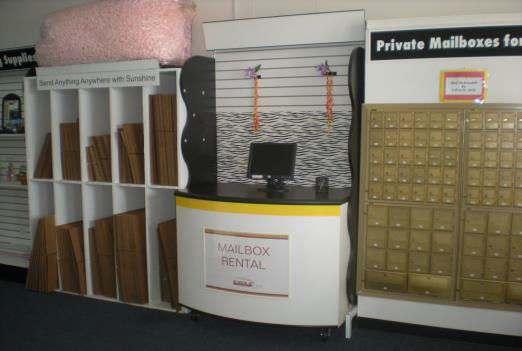 What also differentiates Galaxy’s machines is the ability to customize them to fit almost any specialty. Instead of a bull, a Mexican restaurant wanted a donkey. A tequila company uses a wedge of lime ride to promote its products. Various brands of beverages want customers to ride their drink containers, and a shoe store wanted, of course, a shoe. When it promoted itself at a Texas event, British broadcaster BBC America decided that, instead of a mechanical bull, its Galaxy-designed ride would be a mechanical British bulldog. To keep Galaxy thriving, the Whincups are constantly innovating. The company also offers several inflatable games with moving parts for multiple players. For example, the four players in “Log Slammer” pretend an upriver mill exploded and they are floating on tree stumps. They have to jump or duck to avoid a swinging log or out-of-control saw blade while also staying clear of the jaws of two imaginary alligators. The inflatable games sell for $13,000 to $20,000. The company’s next inflatable game line will be a 100-foot obstacle course, complete with movable parts that will keep players dodging, climbing and jumping to beat each other to the finish line. Several of the games can be attached to each other to make the course even longer. Dan Maitland, who has produced a television episode about Galaxy for a Dallas-based digital media company, learned about Galaxy through an international association that represents amusement parks. “Some of the things they are creating are very unique and cutting edge,” Maitland said of Galaxy. Now Galaxy also is working on interactive animated videos that will take players to a whole new level. Several people sit in a mock vehicle in front of “a green screen” and a video camera. A director tells them how to react to animation they cannot see as their vehicle sways and turns. The finished video shows the riders and the animated scene behind them. On one such ride, children join Santa on his sleigh as it takes off from the North Pole, shoots past the moon and descends upon a Dickensian-style city, where the riders toss out wrapped gifts to imagined people below. In yet another game, perhaps loosely based on the movie “Toy Story,” passengers in a toy car find themselves being pursued by other toys in a child’s room. Riders atop a sea turtle go on an underwater adventure, dodging creatures of the deep as they search for pirates’ lost treasure. The Whincups think shopping malls are likely venues for the animated ride booths. Customers will buy DVDs or e-mailed digital copies of their two-minute adventures for a price that has yet to be finalized. For the Whincups, not knowing what they may still add to their expanding inventory of amusements is all in a day’s work — and they are definitely enjoying the ride. “It’s a fun business,” Mike Whincup said. We recently received word that there is commercial space available at 2001 Siesta Drive in Sarasota. This space is currently built out as a Day Spa. The spa is fully stocked and ready to begin operating immediately. 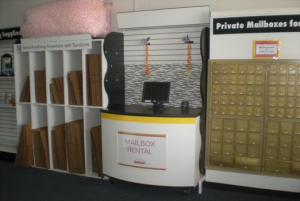 The space can also be renovated as professional office – ideal for a law firm, real estate, or title office. 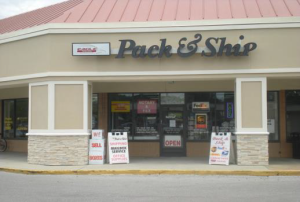 The location is ideal, right on the corner of Siesta and US 41, above Roys and Flemings. Immigrant investors could use the space to establish a business as part of a strategy to obtain an investor visa. For more information on how to obtain an investor visa please see our video: E-2 or EB-5 Investor Visas: How to Use Commercial Property to Qualify, or contact Chris Jaensch: 941-366-9841 or chris@visaamerica.com. Our immigration attorneys regularly work with foreigners who want to invest and start businesses in Florida. There are 2 main strategies we recommend to immigrant investors and entrepreneurs: the E-2 and EB-5 visas. E-2 investor visas are popular with immigrant investors as a way to qualify by investing a substantial amount of money in a new or existing enterprise that is real and active and will either produce more than a living wage for the investor and his/her family or will make a significant economic contribution through job creation. The visa often allows an investor to stay in the US for 2 to 5 years and is renewable. The E-2 visa can ultimately lead to an EB-5 green card if the investor invests $500,000 to $1 million and creates 10 new full time jobs. For more information on E-2 and EB-5 investor visas and their requirements please watch our latest video on the subject. At ImmigrationSarasota.com we often receive notifications of businesses for sale. We like to share these opportunities with our readers who may be looking for a new investment opportunity or for a way to qualify for an E-2 and EB-5 business. Sharing this information does not constitute a statement that this business would help an investor qualify for visa. We need to see more detailed financial information in order to provide our opinion on the business’ viability. Any investor who may be interested can request the financial details from the business broker and present them to us for an opinion. There is a new business opportunity in Southwest Florida. The business broker believes that it will help a foreign investor qualify for an E-2 visa. At this point we do not have enough financial information about the business to declare that it would do so. We decided to list it here and anyone interested can inquire with the business broker. More information is available with a confidentiality agreement. 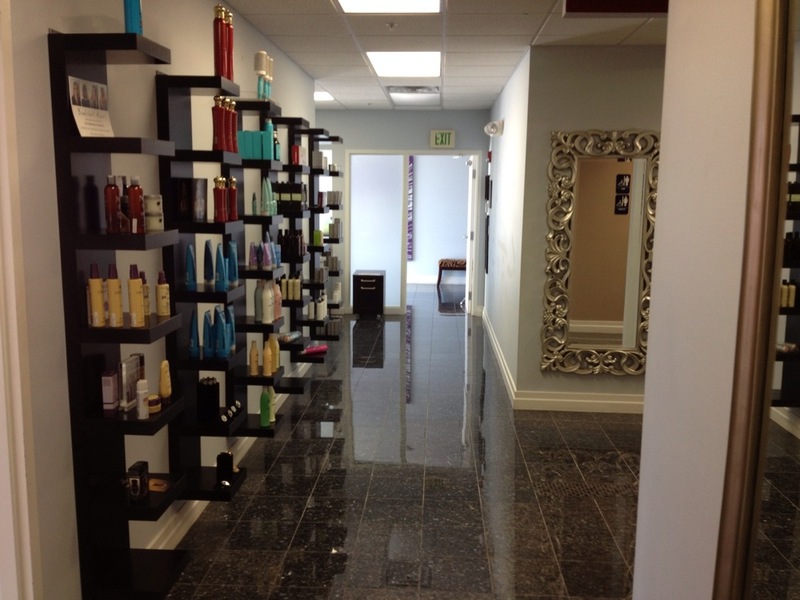 The broker reports that the business is a high-end salon and day spa located in one of Southwest Florida’s most affluent areas. The spa services clients all year round. 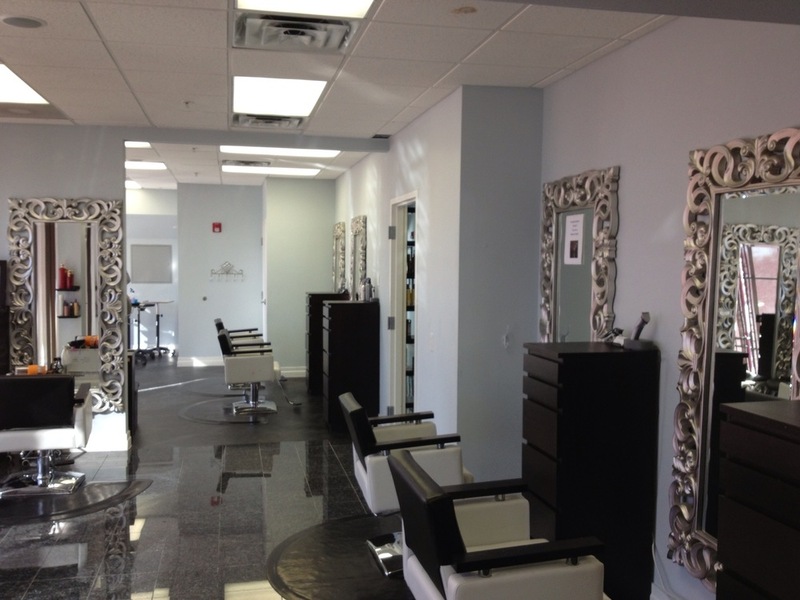 Over 4000 square feet offering high quality treatments from facials, massage therapy, and body treatments, to hair styling and more. The owner is willing to train and proof of funds is necessary. 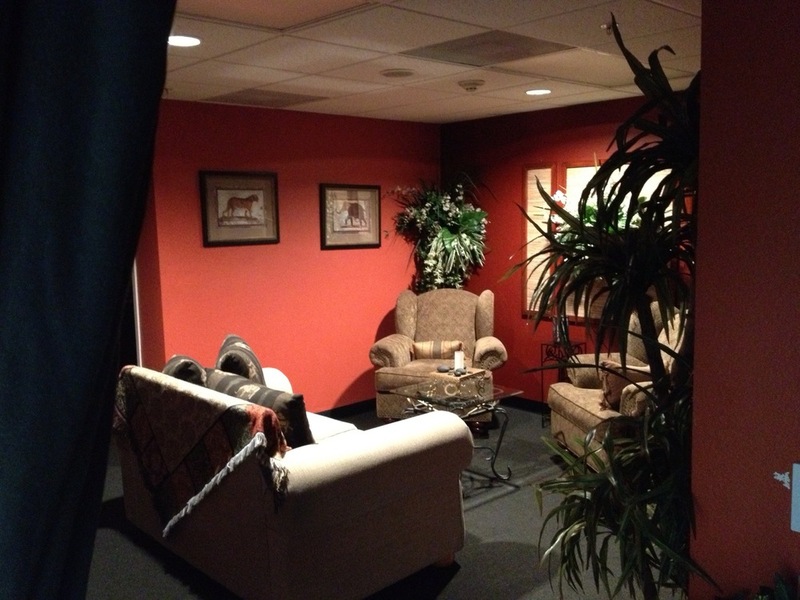 All rooms are equipped with service tables, sinks, hot cabinets, racks, mirrors, plants etc. 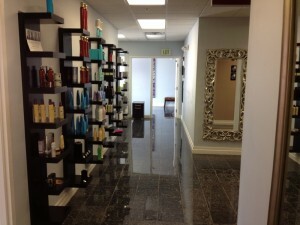 Day spa and salon software is included. A complete website with full supported domain as well as email is included. The manager and receptionist are fully trained and will stay on board. This business has a positive cash flow. Retail inventory is separate at approximately $23,400. Over 4500 sq ft with lease is available. The owner will renegotiate on good terms with qualified buyer. All fixtures and equipment included. Retail inventory is available separate. The asking price is $395,000USD. For more information please feel free to contact Della Booth: 239-699-4493. There is a new EB-5 investor visa regional center program in South Florida that is currently seeking foreign investors. This EB-5 program is administered by a company called QueensFort Capital which is the exclusive franchisee of Sonic Corporation, a fast-food chain, in the region. 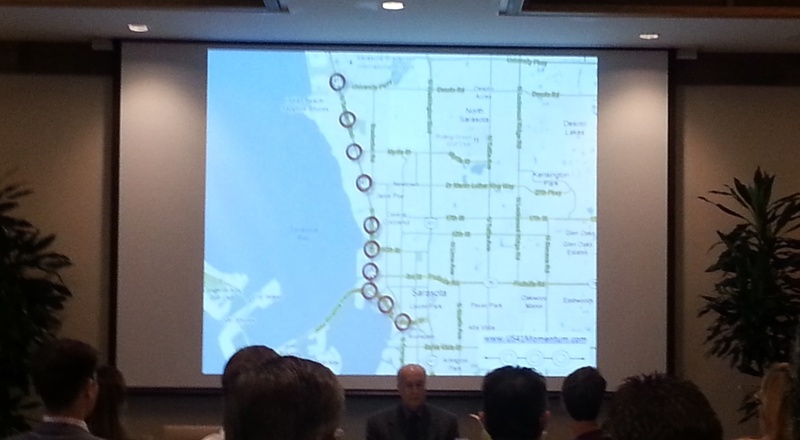 The program intends to develop 50 new Sonic restaurants throughout South Florida with the capital from EB-5 investors. In order to qualify for an EB-5 visa, a foreign investor must invest $1 million – or $500,000 in an area of high unemployment – in a new or existing commercial enterprise and the investment has to lead to the creation of 10 new full-time jobs for Americans. QueensFort Capital is using its status as the exclusive franchisee of Sonic Corporation in South Florida to build a successful EB-5 program. They channel the foreign investment from immigrants who want to obtain an EB-5 green card to develop and operate new Sonic restaurants. South Florida gets a new restaurant and jobs and the investor obtains an EB-5 visa to live and work in the US. So far, according to QueensFort, the EB-5 program has been 100% successful in getting EB-5 investor visa approvals. Sonic is the largest franchisor of fast‐food drive‐in restaurants in the U.S. it is a publicly listed company that trades on the NASDAQ under SONC, has more than 3,500 restaurants nationwide. The brand has been part of the U.S. culture since 1953. It is a mature concept with a business model that has proven to be successful for more than 50 years. QueensFort will complete construction on its 4th Sonic restaurant in October 2013 and will be seeking EB‐5 investors for its 5th and 6th locations in October 2013. All future Sonic EB‐5 transactions will utilize the same investment structure from QueensFort’s previously approved Sonic EB‐5 deals. QueensFort differentiates itself from other franchisees by taking the fast-food dining experience to a higher standard that fuses style and functionality. They also differentiate themselves by serving a wide selection of wine and beer at their locations. QueensFort financed a portion of the Sonic Miami Gardens development with foreign investor capital accessed through the EB-5 program. They claim a 100% track record with EB-5 investor approvals for the Sonic Miami Gardens transaction and its previous EB-5 Sonic transactions. Those interested should feel free to contact QueensFort Capital with further questions. Sarasota immigration attorneys often work with immigrant investors and entrepreneurs who want to live and work and grow a business in the United States. 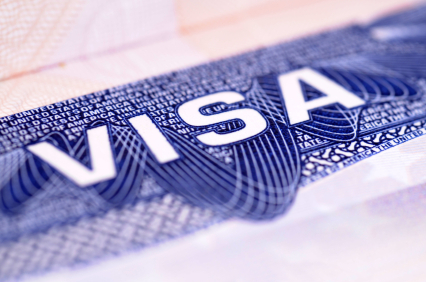 Two of the strategies we recommend pursuing involve the E-2 and EB-5 investor visas. E-2 investor visas are popular with immigrants as a way to quailfy for residence based on an immigrant’s entrepreneuerialism. Immigrant investors qualify by investing a substantial amount in a new or existing enterprise that is real and active and will either produce more than a living wage for the investor and his/her family or will make a significant economic contribution through job creation. The visa often allows an investor to stay in the US for 2 to 5 years and is renewable. The E-2 visa can ultimately lead to an EB-5 green card if the investor invests $500,000 to $1 million and creates 10 new full time jobs. For more information on E-2 and EB-5 investor visas and their requirements please watch our latest video on the subject. As stated above, immigrant investors qualify for an E-2 Visa by investing a substantial amount in a new or existing enterprise. While we are not in the business of recommending enterprises to potential E-2 investors, we know many business brokers who are. Recently we heard from Tony Dempsey of Sunstate Business Brokers about a business he recently listed for sale that may help an immigrant investor qualify for an E-2 visa. Mr. Dempsey reports that the business is a physical therapy clinic in a desirable location. Growth has been and continues to be outstanding, as has profitability. 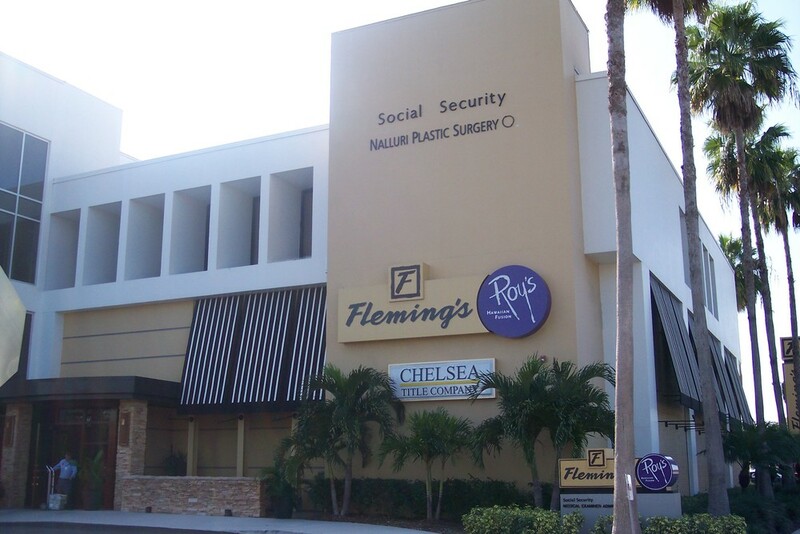 The owner has created a unique and dynamic business model with a diverse approach to securing multiple patient referral sources, large and diverse service offerings, bilingual staff, classes and clinics provided, revolutionary FDA approved technology, in addition to DME sales and a weight management program; all this coupled with first class billing and administrative systems. Part of the attractiveness of this business as a potential acquisition is the fact that the owner is no longer involved in the day to day running of the business; that being left to management and the other therapists. The owners currently spend much of their time out of state and will be moving westward to be close to their family and start another physical therapy clinic there. The asking price is $999,000. Gross revenues: $1,184,518. Cash flow: $360,172. 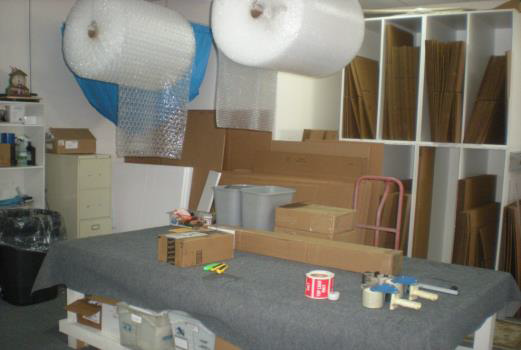 The business comes with $10,000 in inventory and $110,000 in furniture, fixtures, and equipment included. 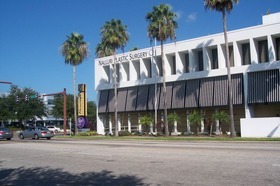 The clinic was established in 2005, and has 15 employees. 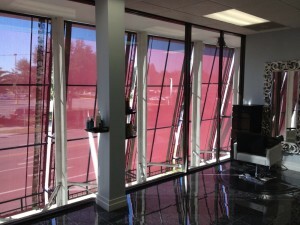 It is located in a 2950 sq foot modern facility on a major traffic artery. Rent is $3200/month. The EB-5 investor creates 10 additional FT jobs within 2 years. Mr. Dempsey also shared a second, smaller business prospectus with us. He reports that a well established Franchise would provide the new owner with a repetitive revenue stream from the constant reordering of a highly consumable product in a Business to Business environment. This coupled with a productive retail/production facility captures additional revenues from the consumer marketplace. 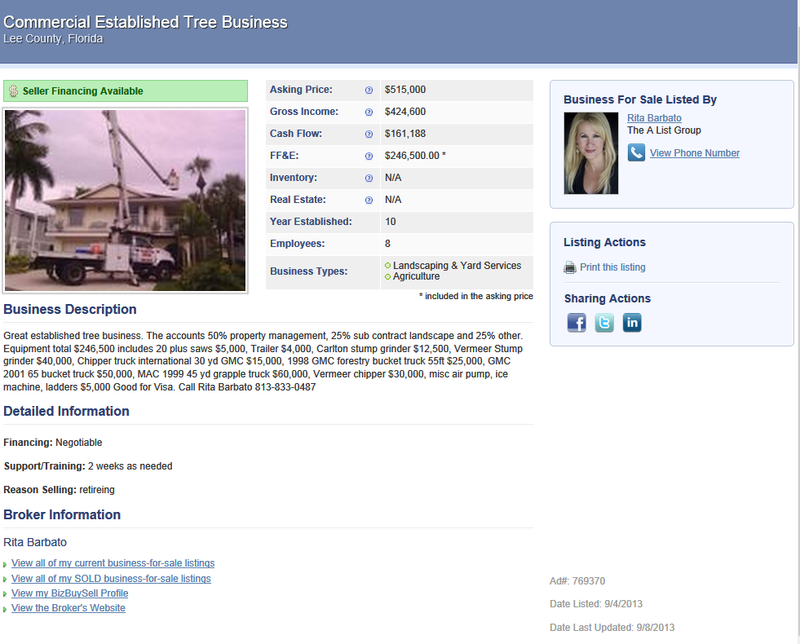 The owner is highly motivated and will offer financing for a financially qualified buyer. 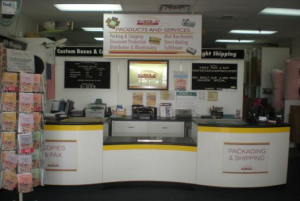 This is an established local franchise store, one of 1600 franchised retail locations in 50 countries, that originally focused on the refill and remanufacture of ink and toner cartridges for printers, but which has now expanded to include an array of related services supporting home and office printer users. This includes offering HP and Canon printers for sale, which makes a perfect complement to the printer cartridges they offer. In fact, for more than 20 years the franchises have been not only perfecting the art of remanufacturing printer cartridges, but also providing world-class customer support for hundreds of new printer products. 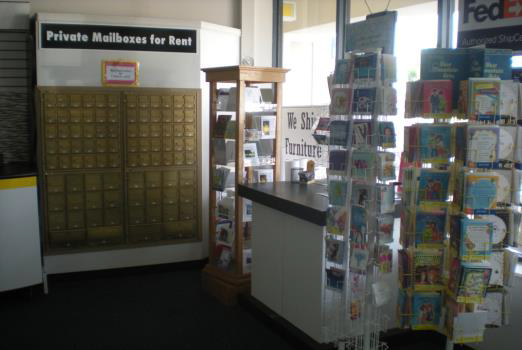 This local franchise services virtually any item that serves a printing function, including fax machines, postage meters, photocopiers and more. Their focus is on Business-to-Business but also service the end user retail market with a 100% guarantee on their OEM remanufactured ink and toner cartridges and special promotions throughout the year. They pick up and deliver in a 3 county area. With $332,321 in gross income, 20,000 in inventory, and 2 employees, the asking price is $150,000. We urge investors to be aware that this business may not by itself help an investor qualify for an E-2 visa. However, it could be part of a successful strategy that includes other businesses or an expansion plan to open new locations. For any questions about these businesses please contact Tony Dempsey at Sunstate Business Brokers: 941-932-5512. For more information on how to qualify for an E-2 or EB-5 investor visa, please feel free to contact us: 941-366-9841. Guest Post: Do Investor Visa Petitions Require Business Plans? e-Council Inc.com’s team of licensed professionals designs business plans for business owners and entrepreneurs seeking U.S. visas, establishing U.S. operations, seeking investors and/or expanding their businesses…all at the right price. Our team is comprised of attorneys, MBA’s, CPA’s, PhD’s and other professionals that know what USCIS wants and we know how to deliver! We have a stellar success rate and pride ourselves on consistently high-quality work. 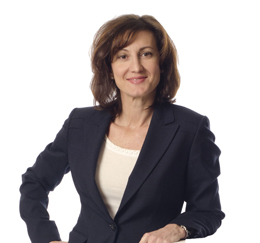 Lauren Cohen, Founder and President of eCouncil Inc.com, is an attorney licensed in both the U.S. and Canada and an active AILA member and speaker. Having immigrated from Canada, Lauren has first-hand knowledge of the visa process. She developed e-Council Inc.com to focus on designing professional Business Plans for all types of business visas, ranging from E-1 and E-2 to H-1B and L-1A, with a special focus on EB-5 projects for direct investments and regional centers. e-Council Inc.com not only creates the right business plans to complement visa applications, but also works closely with business owners to develop their business models and strategies in the process. Whether required or not, Investor Visa Petitions are all incomplete and risk a Request for Evidence (RFE) or, even worse, a denial without a Business Plan. A Business Plan provides supporting evidence necessary for USCIS or the Consular Officer to determine if the business is viable, has a likely chance of success, will contribute to the U.S. economy in a meaningful way, and if the beneficiary(ies), employer(s) and/or the business itself satisfy the specific requirements of the applicable Visa. Therefore, even though not specifically mandated, business Visa petitions benefit tremendously from a professional Business Plan that demonstrates and details the business model, structure, and goals. As noted, without a Business Plan, the Visa risks processing delays due to Requests for Evidence that are likely to be issued, or denials which are extremely challenging and costly to overcome. The job creation analysis for each economic activity must be supported by a copy of a Business Plan for an actual or exemplar capital investment project for that category. Note: A Business Plan provided in support of a regional center application should contain sufficient detail to provide valid and reasoned inputs into the economic forecasting tools and must demonstrate that the proposed project is feasible under the current market and economic conditions. The form of the EB-5 investment from the commercial enterprise into the job-creating project (equity, loan, or some other financial arrangement) should be identified. 8. a budget and financial projections. Significantly, it was noted that: “Most importantly, the Business Plan must be credible.” (In re Ho, at p 213 – commonly referred to as MATTER OF HO). Thus, the credibility of the Business Plan has become the pivotal factor, and EB-5 professionals are generally cognizant of this fact and will not prepare or submit Business Plans that they do not deem to be credible on their face. This Matter of Ho decision set the standard for all future EB-5 Business Plans, and remains for the most part intact, with minor modifications and variations in interpretation depending on the specifics of the case and the type of EB-5 (ie: direct investment vs. regional center project). Drafting an all-encompassing Business Plan is a complicated, time-consuming process that requires extensive research, industry marketing information, cognizance of the business structure and model, and an understanding of the key factors and evidence sought by USCIS. While the business owner is often the best person to provide information about the business, (s)he is often constrained by time, lack of writing talent, and an absence of understanding of the Visa petition process and the requisite components of an EB=5 Business Plan. Thus, the most prudent step that those pursing the EB-5 route can take is to retain a professional team to write the Business Plan incorporating the information supplied them in compliance with the requirements. A Business Plan is equally critical to all non-immigrant business Visa petitions. Increasingly, the reviewing agencies submit Requests for Evidence asking for a comprehensive Business Plan as support for the feasibility of the business and its contribution to the U.S. economy. More often than not, Business Plans prepared by the petitioner are similarly kicked back as falling short. In an E-Visa context, demonstrating that the investment (E-2) or trade (E-1) will be substantial or sufficient to satisfy the applicable treaty standards while showing that a successful business is planned is essential for approval. What better way to show that the trade between the treaty countries (the U.S. and the home country of the beneficiary) is sufficient to meet the E-1 Visa requirements, or that the investment amount is “not marginal” so as to satisfy the E-2 Visa’s “substantial investment” threshold, than through a professionally-written Business Plan. Similarly, establishing the intercompany transferee’s executive/managerial role in both the foreign country and proposed role in the U.S. is essential to satisfy the L-1A Visa requirements, among a growing list of other L-1A criteria that is changing on an almost-daily basis. Proving that an intercompany transferee for an L-1B Visa has specialized knowledge and clearly delineating that knowledge is crucial for a successful petition in this area. In both cases, a detailed analysis of the proposed beneficiary’s background and intended role with the petitioning company will offer evidentiary support that the beneficiary has specialized knowledge or is suited for an executive or supervisory position in applicable situations. A professional Business Plan will not only include the nature of the business and the business model, the business’s mission, goals and objectives and a general marketing plan, but also details the structure of the business, its personnel, and the financial projections for the business. It will also outline how the business will positively impact the U.S. economy from various perspectives, and often will include a variety of charts, graphs and visuals so as to increase the appeal to the reviewing officials. Outlining the nuts and bolts of the specific business in question along with the start-up and reasonable, fact-based projections with explanatory assumptions will clarify to the USCIS the viability of the business and, if an E-2 Visa, the reasonableness and risk factor of the “substantial investment”. The detail with which a Business Plan should be composed creates evidentiary proof of the necessary factors needed for application approval. A National Interest Waiver (NIW) petition is a part of the EB-2 category of second preference, employment-based immigration which leads directly to a Green Card. Normally, a permanent job offer and an approved labor certification are pre-requisites to filing an employment-based, second preference immigration petition. However, the NIW petition requests that the labor certification requirement be waived for the sake of the “national interest of the United States”. In an NIW case, the burden of proof is on the applicant to establish that exemption from the labor certification will be in the national interest of the U.S.
Because of the nature of NIW petitions, it is vitally important that the petitioner show detailed and tangible evidence of past valuable contributions by the petitioner. This evidence can be documented by showing the petitioner’s successful role in past business or academic projects. In such cases, a business plan outlining the petitioner’s past accomplishments as well as present and future goals that is organized in a manner to highlight the petitioner’s significant and unique contributions can be a persuasive tool to present to the USCIS examiner. For example, a business plan can document, in a form that USCIS examiners are used to reading, that the petitioner has already turned around a business, improved the economy, and created jobs in a way that would be vital to national interests. The more evidence that the petitioner can present in the NIW context, the better chance of a favorable ruling. Retro-oriented business plans can be a valuable part of that evidence. Proposed changes to immigration laws contained in the Senate bill passed this summer would create two new types of visas: the temporary X visa, for entrepreneurs who don’t plan on staying in the U.S. permanently, and the EB-6 visa, which can lead to residency. In each case, visas are available to entrepreneurs who hit thresholds for investment capital raised, jobs created, and revenue earned. The EB-6 visa petition would specifically require the submittal of a business plan, which we can assume will follow EB-5 business plan requirements relating to detail and mandated elements. The proposed X visa has investment threshold and job creation requirements that are also well-suited to documentation through a business plan. A Business Plan is generally a roadmap for the business, designed to pave the way to its short- and long-term success. However, as is the case in a Visa petition, the Business Plan can also be used to tell the story, provide an explanation, and give evidence and even a record of past accomplishments to further support the application. A Visa petition lacking a sound, well-composed, and analytical Business Plan will likely face challenges at every turn, and will almost certainly be delayed by the USCIS seeking further evidence. To find out more about professional, well-researched, articulate, expository narrative Business Plans, crafted specifically to address USCIS’s concerns, contact e-Council Inc.com for further information at info@ecouncilinc.com. E-2 investor visas are popular with immigrants as a relatively fast way to get permission to live and work in the US for an extended period of time. The visa often allows an investor to stay in the US for 2 to 5 years and is renewable. The requirements for an E-2 investor visa include a substantial investment in a new or existing enterprise that is real and active and will either produce more than a living wage for the investor and his/her family or will make a significant economic contribution through job creation. The E-2 visa can ultimately lead to an EB-5 green card if the investor invests $500,000 to $1 million and creates 10 new full time jobs. For more information on E-2 and EB-5 investor visas and their requirements please watch our latest video on the subject. We recently learned about an investment opportunity that could potentially qualify an investor for an E-2 investor visa. The business is called E Z Pack & Ship LLC (dba Eagle Shipping Center) and the asking price is $85,000. The business had revenues of $140,880 last year. The seller reports the following: Eagle Shipping Center is one of several locations throughout Florida and an investor would be welcome into the Eagle Shipping family. An investor would enjoy the support of a large organization with an established and successful business model which offers economies of scale in web services and internet marketing. Each investor becomes part of a larger branding exercise. The central office sends leads to the investors and provides training. The seller says that this lowers overhead and also makes it feasible for a dedicated investor to learn the business in a short amount of time. Important note—we do not prequalify businesses for E-2 visas. However, the business could possibly form the foundation of an E-2 strategy if combined with another business, one or more additional locations, or can show resources and a strategy available to significant expand the business within five years. Interested parties can contact the seller by phone: 561-401-7645. 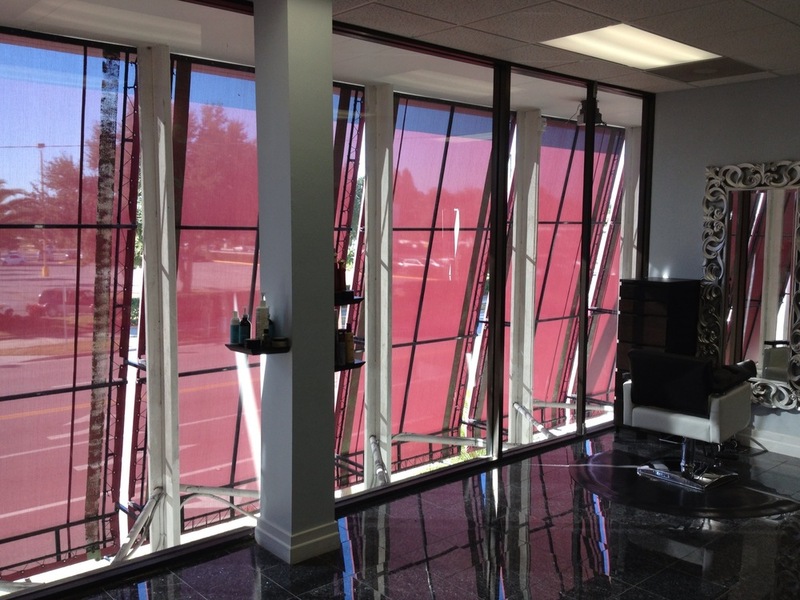 The current owner started the business 3 years ago as part of a successful strategy to qualify for an E-2 Visa. He shared a E-Z Pack Ship – Sale Prospectus as well as several photos included below. EB-5 Investor Visas are granted to those who invest $1 million or $500,000 in an existing commercial enterprise and create 10 new US jobs. The difference in the investment amount depends on whether the enterprise is located in an area of high unemployment. For a full blog post on the requirements please see our previous blog post on EB-5 Investor Visas. For a while after these visas were created immigrant investors had to find an existing commercial enterprise themselves. Then the government permitted regional centers. 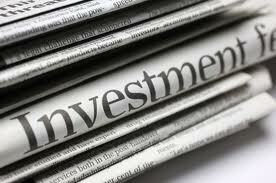 Regional centers pool investments and manage the money as well as the creation of jobs. Different regional centers operate in different ways. Some concentrate on maximum returns to the investor, others on exit strategy. E3 Investment Group has achieved a critical milestone by securing its first investor in its innovative Scalable-Direct(TM) EB-5 program business model. 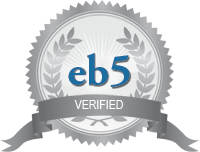 NEW YORK, N.Y., July 31, 2013 (GLOBE NEWSWIRE) — via PRWEB – E3 Investment Group, headquartered in New York, announced today that it signed its first investor in its Scalable-Direct(TM) EB-5 investment business model. The Scalable-Direct(TM) model may be the first of its kind to allow foreign nationals who invest their capital as part of the United States government’s EB-5 immigrant investor visa program to receive the benefits of an enterprise class organization, while each remaining independent from all other investors by being the only investor in its entity. This is designed to allow the investor to receive permanent residency in the United States, while using their capital to create jobs in high unemployment areas for US citizens and permanent residents. E3 Investment Group is a 21st century private equity firm that with three mandates, the three E’s: Employment – to create well paying, long term jobs; the Environment — to conduct our operations so that we minimize our impact in the industries in which we focus; and Earnings – so we can ultimately repay our investors, do well for ourselves and do good for the communities in which we operate. Some immigrants work for an overseas business and want to form a subsidiary in Sarasota. Others decide to start a new business in Sarasota and later expand operations back to their country of origin. Traditionally, when Sarasota immigrants have needed legal assistance on matters with an overseas component, the have had very limited options. Typically, they would engage a large multi-national law firm. Unfortunately, these law firms usually charge substantial fees and are rarely oriented to meet the needs of a smaller business. The good news is that our community has access to a law firm which is connected to the new model of global legal services. Williams Parker regularly helps Sarasota’s most innovative companies achieve their global objectives. Whether expanding a back-office support center in Mumbai, establishing a joint venture manufacturing operation in Mexico, or securing a trademark in France, their clients rely on them to help them address their business challenges wherever their business interests take them. As the world’s large companies became global during the second half of the 20th century, law firms that hoped to continue to serve those companies expanded their operations by establishing and staffing offices around the globe. Today, these “global firms” are comprised of as many as 3,800 lawyers spread across 70 offices. Historically, the primary advantage of a global law firm was to offer global clients a single “shop” from which to purchase legal services wherever the clients’ transactions or projects might arise. Of course, the costs to maintain and staff law offices across the globe are very high. These costs translate into high fees—which can be tolerated by very large companies, but which are nearly always too expensive for smaller companies. Thus, for many years, only the world’s largest companies could afford access to legal counsel for international business. However, over the last few years, an alternative model has emerged which offers many of the advantages of a global firm, but which addresses two key disadvantages. As the speed and cost of communications have declined, international networks of individual law firms have emerged as the new model to provide global legal services. 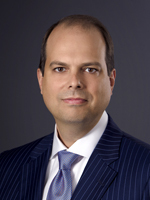 Several years ago, Williams Parker joined one of the leading international networks of business-focused law firms—the International Alliance of Law Firms (the “Alliance”). The Alliance is comprised of 63 law firms in 40 countries around the world, including member firms in the world’s money centers (i.e., London, Tokyo, Hong Kong, New York) and important commercial locations (e.g., Tel Aviv, Frankfurt, Sao Paulo, Sydney, Shanghai). In addition, members of the Alliance know lawyers and law firms in virtually every location in which their clients want to conduct business. The Alliance’s network of lawyers offers the geographic reach of the largest global law firms but without the administrative costs needed to support a global law firm structure. Using this global network model, Williams Parker helps clients secure legal advice at fees well below the fees charged by global firms. In addition, when compared to global firms, Alliance members deliver, on average, more practical advice for clients than global firms provide. Occasionally, a client might want someone to provide a preliminary point of view on a legal matter. At other times, a client may need extensive research or a more formal legal opinion. In either situation, Alliance members are well suited to provide practical solutions. Case Study #1—Mumbai. One of Williams Parker’s clients has two related operations—one based in Sarasota and one in Mumbai, India. As business in Mumbai began to accelerate, the client needed India-specific legal assistance with regulatory, finance, tax, and corporate issues. At the same time, the client needed assistance to structure an investment by a U.S. investor in the Mumbai operations. Williams Parker helped the client engage an Indian law firm (which is a member of the Alliance) with an office in Mumbai, and they continue to coordinate closely with Indian counsel to navigate the full range of U.S., Indian, and international issues the client faces. Case Study #2—Mexico. A Williams Parker client with a local manufacturing operation engaged them to help create a joint venture with a Mexican partner to manufacture goods in Mexico. The purpose of the joint venture was to expand the client’s market to Mexican and other Latin American consumers. 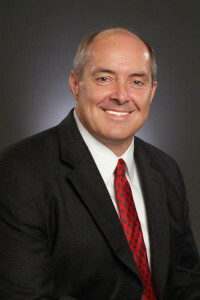 To address Mexican corporate and regulatory questions, Williams Parker connected their client with the Alliance member with an office in Monterrey, Mexico. The client has now completed the joint venture negotiations and is developing its facility with its Mexico-based partner.